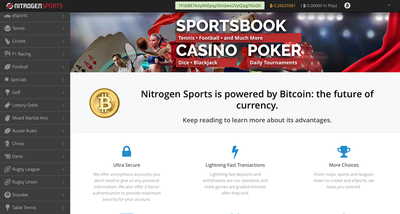 ﻿Nitrogen Sports is the world's most popular bitcoin-only online sportsbook. USA players welcome. Register instantly and anonymously. No KYC or AML. BTC deposits and withdrawals are free. 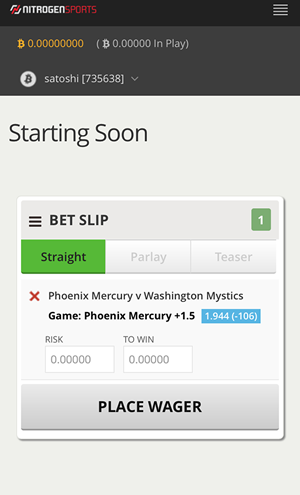 Start betting instantly on zero confirmations. Bet live in-play on NFL, NBA, English Premier League, golf, NHL, tennis and more. Highest betting limits of any bitcoin-only bookmaker. Bet up to 20 BTC on some sports. Nitrogen Sports Mobile works on iPhone, Windows Phone, Android or BlackBerry. 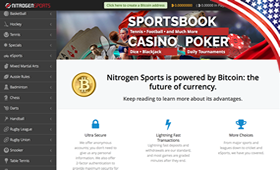 Nitrogen Sports also offer casino games and an instant play poker poker client. There is no deposit bonus for new players but Nitrogen do run some fun promotions. Nitrogen Sports was founded in 2012 and they are based out of San Pedro, Costa Rica. 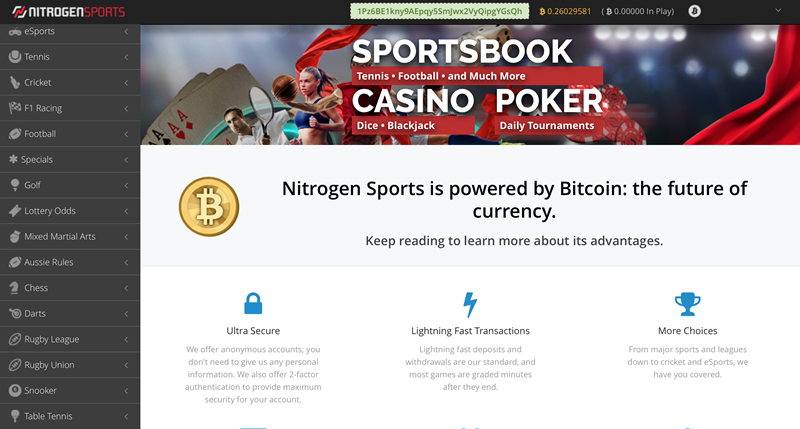 The two key features for what the site is known for is being friendly to U.S players and becoming the biggest bitcoin-based sportsbook and casino on the planet. The site actually operated as a conventional book until it rebranded at the end of 2013 putting all their eggs in the bitcoin basket. As a result Nitrogen Sports really does feel like an authentic sportsbook. One of the first things you'll notice when visiting the Nitrogen Sports website is an interface on the home page asking if you want to create an anonymous account. This anonymous registration literally takes seconds and all you are required to provide is a username and password. 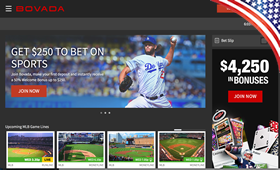 The site is very easy to navigate if you're familiar with Bovada, 5Dimes, Pinnacle, and how other conventional online books present a line and construct a betting ticket. 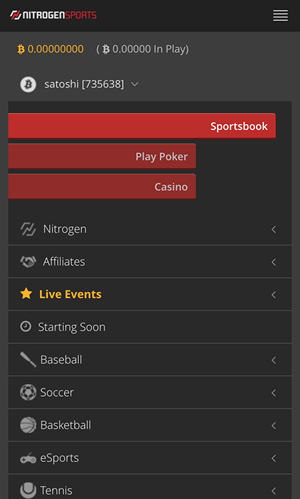 Nitrogen Sports as works perfectly as a mobile sportsbook on iOS or Android devices. ​Being U.S. friendly, all of the major sports for the NFL, MLB, NBA, NHL, PGA, etc. are covered at Nitrogen. The amount of bets offered within these sports is also incredible. 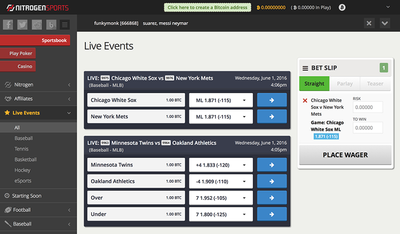 A single baseball game for example might have 250+ bets associated with it (3 innings, 5 innings, alternate run totals, quality pitching, single team runs, exact margins, highest scoring innings, etc.) making Nitrogen Sports almost like a betting exchange – but one that always has acceptable wagers. Soccer and MMA are also big markets at Nitrogen and the offerings are constantly expanding from where they were just 1-1/2 years ago. Cricket, ARL, e-sports, chess, table tennis, darts, badminton, and more all offer wagers pretty much any time an event is happening. At the moment in-play betting is limited to tennis tournaments and major football, basketball, soccer, baseball and hockey leagues. One of the nice things about the real-time live chat is that it's filled with experienced members who for the most part are happy to answer any questions you may have. Nitrogen Sports does employ a ticket system for support, which is answered promptly during regular business hours. It's also important to check their individual rules for each sport to fully comprehend how your bet will be graded. Nitrogen does feature one kind of cool promotion in what could best be described as the 'bad beat second chance.' Almost like a lottery jackpot that you missed it by a single number, players who missed hitting a parlay by one game are eligible for a percentage from the prize pool that is generated off of these bet tickets. It does ease the sting of a 'no-reason half-court bank shot down by 19 that cost you the Under on a 5-team parlay'...a little bit. 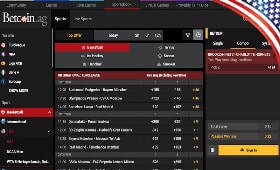 ﻿﻿​﻿​Nitrogen Sports is one of the most aesthetically pleasing sportsbooks, even amongst the traditional online parlors. Your first visit you may feel like you're all alone in a bad neighbourhood in a big city, but after 10 minutes of perusing you'll feel at home. 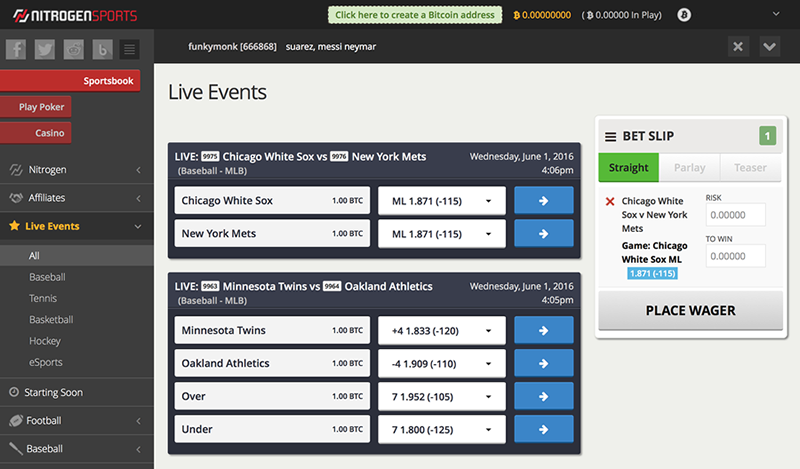 You can't argue with the anonymity of a bitcoin sportsbook, especially one that seems to be so professional and innovative but also convenient. Betting tickets are easy to put together, transactions are fast, and the site is user-friendly whether you're experienced in BTC or not.